Grew Up... with an amazing family. She is still very close to her parents, whose seemingly perfect relationship has set a high bar for her. Even after all these years, her mom still talks about how good she and Annie's father are in the sack. Perhaps a little too much information! Living… in Baltimore, where she grew up. Profession... reporter for the Baltimore Sun, currently researching a story about a guy on the radio called “Sleepless in Seattle,” who recently admitted on a talk show that he still grieves over his late wife. Annie cried after hearing him and is going to Seattle in hopes of meeting him to write an article. Interests... watching old movies. Her favorite is An Affair to Remember. Nickie and Terry, the central characters, embody her parent’s love. Nothing could come between them, not even time or distance. Relationship Status... engaged to Walter. He works at her office, but she didn’t notice him until one day when they both ordered sandwiches from the same place. She romantically says, "One day you decide to order takeout and it changes your life." Walter has everything she has ever wanted in a husband – he's stable, loyal, and sweet. But do they have that spark of true passion? 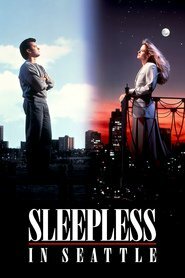 Challenge... trying to stop thinking about Sam, aka "Sleepless in Seattle". She doesn't know much about him, really, but has created numerous fantasies about what he's really like. Perhaps it is merely cold feet before the wedding. But maybe if she could simply meet Sam, she could get him out of her system. Personality... passionate and determined. When Annie gets her mind fixed on something, there is no turning back. That's true whether it's a hot story, or a romantic vision about a widower on the radio. Annie Reed's popularity ranking on CharacTour is #4722 out of 5,000+ characters. See our top-ranked characters and read their profiles.